If you're wondering what the Verizon Motorola Droid looks like, especially after the agressive ad onslaught detailing what 'Droid does', look no further. BGR has taken some high quality photos of this most anticipated Android device and to say it survives the harsh light is an obvious understatement. The quick bullet point highlights are that: it runs Android 2.0, is very thin for a QWERTY slider, is the fastest Android device available, has a wonderful screen and usable keyboard, and pretty much sets the standard for future Android phones. We're confident that the Verizon Droid is going to be a hit because it combines the best carrier (network-wise) with our favorite smartphone OS. Word on the street is that it makes the Motorola CLIQ look downright elementary (no surprsie). How can you deny that? 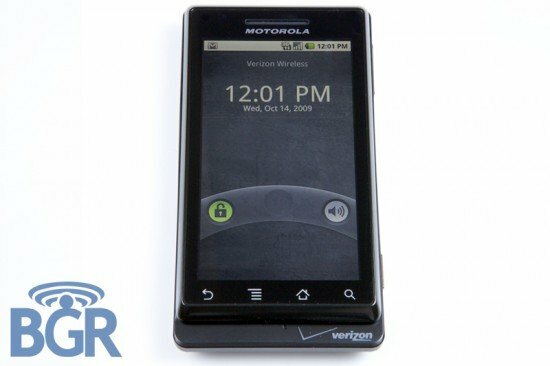 What do you guys think about the Verizon Motorola Droid? Excited? Nonplussed? Let us know in the comments! 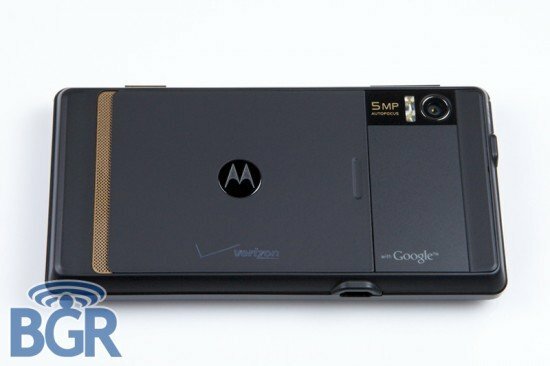 Hit the jump to see more pictures of the Motorola Droid!